CLICK HERE TO SEE OUR CURRENT LIST OF DEMO, CLOSEOUT, AND USED ITEMS. the RecTa Series of interconnects and speaker cables. The new RecTa Series features individually Teflon insulated rectangular solid conductors and state-of-the-art shielding to produce cables that are world beaters in their price categories. Call us to learn more about these excellent cables. EAT KT88 and 300B vacuum tubes are now available. EAT is finally producing, in house, their own high quality KT88 and 300B tubes in sufficient quantities. These are finely crafted and durable tubes that are quality checked and matched down to the very smallest detail. If you can use one of these varieties you can look forward to an improvement in sound quality with them. Give us a call to learn more. We now carry Okki Nokki record cleaning machines. Osage Audio Products is now a retail dealer for Okki Nokki record cleaning machines. We have also made them available in record cleaning packages that include our industry-leading Audio Intelligent Vinyl Solutions and Listener Select record cleaning products. Learn more by visiting our Okki Nokki web page. A new affordable loudspeaker from JM Reynaud. A high performance loudspeaker built entirely in France by a prestigious designer that is priced at $1400.00? But there is a way. Introducing the new JM Reynaud Folia stand mount loudspeaker. And yes, it is built entirely in France by famed speaker designer and recording engineer Jean Claude Reynaud and it is only $1400.00. Now you have a high performance choice for an office system, bedroom system, etc. that doesn’t break the bank. And it’s even good enough for a main system in a smaller room. Learn more by visiting our JM Reynaud web page. Finally, after what seemed to be a very long wait, the MoFi turntables, phono cartridge, and phono preamplifiers are now available. Several leading designers in the hi-fi field have contributed to the design of these products, and the result is class-leading performance up and down the line. To learn more about these high value and reasonably priced products, call us or visit our MoFi Electronics web page. We’re pleased to announce that we now carry the high quality and value priced line of Wharfedale loudspeakers. We are featuring the Reva Series models, but we also have available the budget Diamond 200 Series models. To learn more, please visit our Wharfedale web page or give us a call at 573-696-3551.
and phono preamps offer cutting edge technology. Osage Audio Products now handles the line of DS Audio products. These innovative phono cartridges and phono preamps offer accurate sound reproduction and amazing resolution. The new DS 002 series also offers affordable pricing. Call or email us to find out more about this line of products. We now handle Acoustic Revive. Acoustic Revive founder Ken Ishiguro has assembled an innovative collection of audio cables, power management products, isolation and acoustical products, and audio accessories that really work as advertised. To achieve success, he’s used some non-traditional methods. 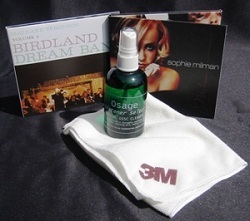 Osage Audio Products has listed some of the more mainstream products on our website. Just click the Acoustic Revive logo above to see them. We also have available the complete Acoustic Revive catalog. To learn more, call us or email us. Fredrik Lejonklou has hit another home run with the new Boazu integrated amplifier. Like all Lejonklou electronics, the Boazu serves up natural tonality as well as natural dimensionality and dynamics. And don’t let the wattage output fool you. Like all Lejonklou amplification, the Boazu provides massive amounts of non-wavering current to drive most loudspeakers on the market to well beyond normal listening levels, and does so without distortion or clipping. and true value for the money spent. The new CD Uno CD Player/ DSD DAC offers most of the flexibility of the CD Dué, the same DAC chip and disc transport, and the same DSD capabilities, but in a simpler and much less expensive package. The CD Uno features all of the forward thinking technology that you’ll need in the coming years, including Bluetooth capability, and still allows for true high end playback of your CD collection. Learn more by visiting our UNICO web page or by calling us at 573-696-3551.
high-end performance and hand-built American quality at a sensational price. At $895.00, the new Sutherland KC Vibe is the right choice for those looking for a highly adjustable and good sounding phono preamp at an affordable price. The KC Vibe offers five resistive loading settings, five gain settings, a dual mono circuit topology, and a compact size. See our Sutherland web page for more details, and give us a call today to get yours! George Merrill’s new PolyTable SUPER 12 offers a level of performance never before seen at its price point. Building upon the features of the original PolyTable, George has added features of the original Merrill Heirloom and the Merrill-Williams R.E.A.L. 101.2 and has done so at an affordable price. Get in touch today to find out how the SUPER 12 can improve the performance of your system. JM Reynaud Introduces the Cantabile Jubilee. Jean Claude Reynaud has refined the design and upped the performance of the award-winning Cantabile floor standing loudspeaker to create the new Cantabile Jubilee. Offering even better clarity and resolution than the Supreme, the Jubilee remains an affordable, handcrafted loudspeaker that is sure to please. Call us today to find out more about this exceptional product. are now available from Clearaudio. Clearaudio has introduced a couple of notable new products: the Performance DC Wood turntable and the TT-5 linear tracking tonearm. The Performance DC Wood gets a performance improvement with a new plinth core of plywood. This change also gives it a smart new look. The TT-5 offers the performance features of a linear tracking tonearm at a price that many can afford, and it does so without the maintenance burden and inconvenience of an air pump and bearing system. 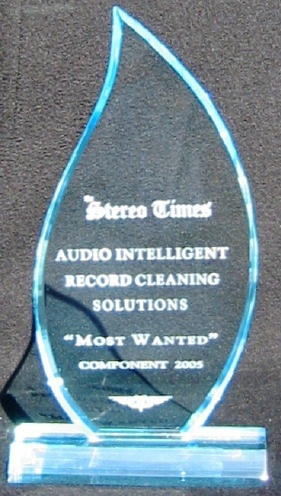 Clearaudio builds some of the best designed and best performing products on the market. Call or email us today to learn more. Jim Wang’s storied company and groundbreaking technology are just as relevant today as it was in 1998, when he started his hi-fi cable company. Very few hi-fi companies have won as many awards and recommendations for their products as has Harmonic Technology. We’re happy to offer the Harmonic Technology product line. It represents the best science in cable design and construction, and it does so at prices that most can afford. Be sure to check out our Harmonic Technology web page and give us a call to find out how these cables may improve the sound you are getting. vacuum tubes and Cool Dampers. The most exceptional vacuum tubes available today are those produced by European Audio Team. No other vacuum tubes are subjected to such extensive testing and meet such stringent standards as the EAT vacuum tubes. The EAT Cool Damper is far and away the most effective product on the market for reducing and stabilizing vacuum tube operating temperature and for reducing microphonics and resonant energy. Please visit our EAT web page or give us a call for more information. Hana phono cartridges offer true audiophile performance in an affordable moving coil design. Handcrafted in Japan, both Hana models are unique in that they are offered in both high and low voltage output versions. Visit our Hana web page to learn more. loudspeakers – now at Osage Audio Products. We’re proud to announce that we have been chosen as one of a select few U.S. retailers for industry rock Jean-Marie Reynaud. Their loudspeaker designs have been regarded as being at the highest level of design, performance, and build quality for nearly 40 years. Learn more by visiting our JM Reynaud webpage, and get in touch to discuss how a JM Reynaud model might improve the performance of your system. Music Hall turntables are now available. We are now handling select Music Hall turntable models. Built in the Pro-Ject factory but designed by Roy Hall, Music Hall turntables represent excellent value at their price points. Dollar-for-dollar, they outperform their Pro-Ject stable mates. While Pro-Ject has taken the direction of enticing form, Music Hall has put the cost of their turntables into functionality and performance. So while you may see a familiar rectangular shape, the engineering in the Music Hall models is based on proven real world performance parameters. This approach positions Music Hall as a high value option for your next record player. Learn more by calling us at 573-696-3551. More information on the Music Hall product can be found here. E.A.R. makes digital sound like analog. The new E.A.R. Acute Classic CD Player/ DAC has advanced the state-of-the-art of performance in CD playback. Borrowing the circuit topology of the lauded DAC 4, and using a new CD specific disc transport, the Acute Classic also offers inputs for the DAC section. The Acute Classic should be on your short list of “last” CD players. Call or email us today to learn more. Ron Sutherland is one of the most respected and revered designers in the history of hi-fi. For many years, his phono preamplifier designs have been regarded as the leaders in the mid-priced and low-priced market segments. Along with some new and exciting things in that market, Ron has now turned the reference component market upside down with some new and imaginative phono preamp models. Be sure to visit our Sutherland Engineering web page for more details. Unison Research introduces new UNICO models. The new UNICO 90 and UNICO 150 vacuum tube/ MOSFET integrated amplifiers are now available. These updated models offer powerhouse performance and stylish Italian design. Also new is the UNICO Dué CD Player/ DAC. Along with red book CD playback, the Dué offers a multitude of inputs and plays DSD computer files, as well as other high resolution formats. The build quality of all Unison Research products is world class. Take a look at these new models and give us a call to discuss how they might improve your listening experience. We have once again found a supplier of high grade, U.S. made, white nylon bristle for our Listener Select record cleaning brushes. We are clearing out our remaining inventory of brushes with black bristles, but brushes with white bristles are available now. These bristles are of the highest quality that we have ever had. They are soft and do an excellent job of holding record cleaning fluid during the cleaning process. Get yours today. Once again Unison Research has jumped ahead of the pack in offering a highly adjustable vacuum tube headphone amplifier with a built-in DSD DAC. And as with all Unison Research products, the Simply Headphone features impeccable Italian design. At $1700.00, the price is competitive with headphone amplifiers with less features and lower quality, which makes the Simply Headphone the logical choice. Learn more by clicking here, or by calling or email us. Lyra has lowered their pricing for their trade-in, trade up, and rebuild/exchange services. This cost reduction makes it easier than ever for you to stay in the Lyra family. Call us at 573-696-3551 or email us to learn more about these programs. Vienna Acoustics has lowered the pricing for the Piano White finish option for its Concert Grand Series models. This decrease amounts to close to a 10% reduction in price. If you are in the market for speakers with a Piano White finish, and Vienna Acoustics is on your list, give us a call. This may be the right time for new speakers for your system. E.A.R. introduces the ultimate in digital playback. Imagine a system that plays back SACD and CD discs, and also offers playback of DSD files from your computer or music server, has an analog line level input, analog volume control, and four vacuum tubes in the output stage. Well imagine no more. The E.A.R. Acute 4 and DAC 4 are now available, designed and built by hi-fi legend Tim de Paravicini. Learn more by clicking here or by calling us. We are now a retail dealer for the full line of Oyaide products. Along with their legendary power products, Oyaide offers a selection of useful analog accessories as well as interconnect cables and loudspeaker cables that outperform many brands that are far more expensive. Call us today to find out more. Osage Audio Products now has Bellari. We now offer the high value Bellari amplification products. If you seek a budget phono preamp, headphone amplifier, or moving coil transformer, these products are the way to go for good sound and reliability. Order by phone or through our Online Store. The Unison Research Max 1 is now available. The Max 1 is a high efficiency loudspeaker that is designed specifically for low wattage vacuum tube amplifiers. Classic Italian in design, the Max 1 is beautifully appointed as well as meticulously engineered. Paired with something like the Unison Research Simply Italy or Triode 25, the sound is impressive. Lejonklou has updated their Tundra Mono amplifiers by improving the vibration and heat management of the amplifier. The new Sagatun line stage preamplifier is available as a stereo unit or as a mono configuration. Some of the best sound that we have had here is with the Lejonklou electronics. Call us today to discuss these products or to give them a try. George Merrill’s PolyTable turntable is here. The new GEM Dandy PolyTable turntable is the latest buzz in audiophile circles because of the level of performance and the reasonable price. The PolyTable design utilizes George Merrill’s energy management know-how to provide a level of performance previously unavailable at this price point. Get in touch today to learn more about this innovative product.